During the conference, students learned the importance of effective time-management for reaching deadlines and how to manage everyone’s learning styles, skills, and weaknesses in a group environment. Balancing group work and deadlines while maintaining a professional and responsible attitude allowed the participants to grow in their self-confidence and realise their leadership potential. Students attended workshops throughout the conference day that were led by teachers, fellow students, and outside experts. It was ambitious to do all of this in one conference given that the students involved needed to balance study time for external exams with the activities associated with the conference. But this structure was intentional in order to teach the kids something. “Students found making deadlines difficult and collaborating with each other was a challenge – but they learned,” added Mr Mc Clean. Developing these skills early on in their educational careers gives students a big step up when they attend university or start working. Their future education and careers after boarding school will expect excellent teamwork, task management, and communication skills. Often people in university or at their first job are forced to learn these things by trial and error or by watching others. It is Brillantmont’s aim to ensure that students that graduate from our Swiss boarding school will be a lot better prepared than that. And while many of these skills get developed in everyday classes at boarding school, getting outside feedback on your work and learning to review your own performance in order to learn from it, are added elements that the leadership conference offers. “The day was not only a success for students, but it was enjoyed by the people who were giving the workshops too. The leadership teams themselves were very aware of what they would do differently, were they to do that task again. It gave them the skills and experience to be more successful in the future.” This is exactly the kind of self-awareness and discipline that the leadership conference was trying to instill. 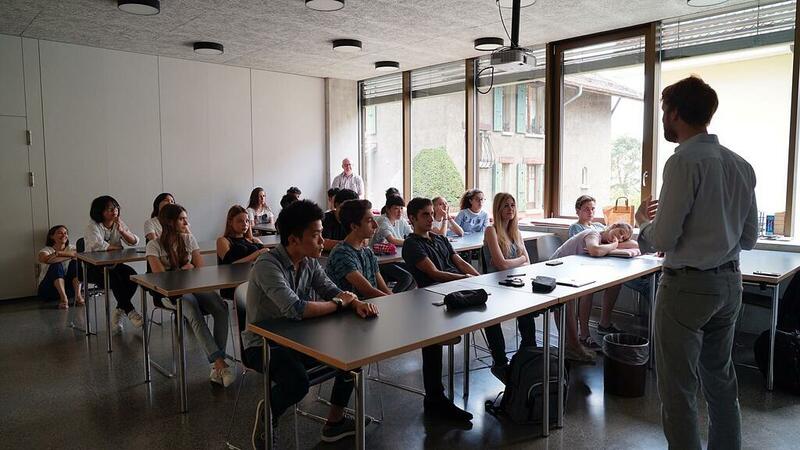 Want to find out more about the opportunities offered by our Swiss boarding school? Contact us and we would be happy to answer any questions you may have.